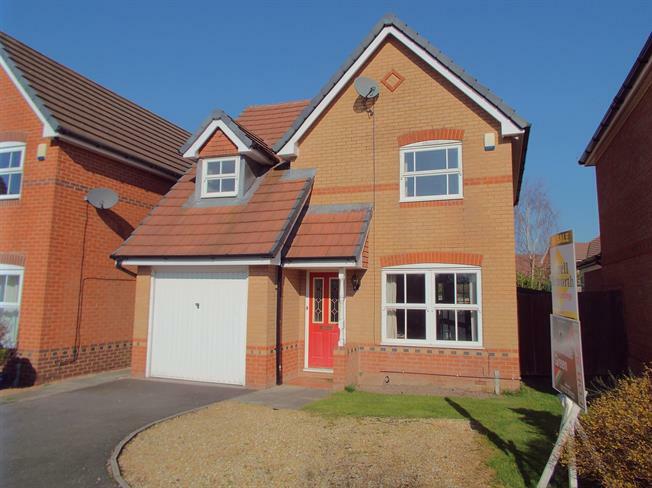 3 Bedroom Detached House For Sale in Preston for Offers Over £200,000. This delightful three bedroom detached home provides everything you need for modern living and more. Ideal for the perfect family home. An internal inspection is highly recommended. The ground floor is home to an open plan lounge/diner which features French doors opening a beautiful conservatory, allowing the space to be filled with natural light and perfect for brining the outside in. The modern fitted kitchen has a host of integrated appliances, a separate utility room, WC and a study area. Upstairs, you will find three bedrooms, two of which are doubles, the master bedroom benefitting from a dressing area/ en-suite shower room plus the main family bathroom. Externally, the property features a double width driveway leading to an integral single garage with beautiful mature views to the front whilst at the rear a landscaped rear laid to lawn garden with a patio/decking area. View to appreciate..
Hardwood double glazed entrance door. Radiator, carpeted flooring. Staircase leading to the first floor. UPVC double glazed door. Double glazed uPVC window facing the front. Radiator and beautiful electric fire with marble surround, carpeted flooring. UPVC French double glazed door, opening onto the garden. Double glazed uPVC window facing the rear. Laminate flooring. Double glazed uPVC window facing the rear. Radiator, tiled flooring, tiled splashbacks. Roll top work surface, fitted wall and base units, stainless steel sink and single sink with drainer, electric oven, gas hob, stainless steel extractor, integrated dishwasher, space for washing machine, fridge/freezer. Hardwood double glazed door. Tiled flooring, boiler, tiled splashbacks. Roll top work surface, fitted and base units, space for washing machine. Double glazed uPVC window facing the side. Radiator, tiled flooring, tiled splashbacks. Low level WC, pedestal sink. Loft access . Carpeted flooring. Double glazed uPVC window facing the front. Radiator, vinyl flooring, tiled walls. Low level WC, corner bath, single enclosure shower, pedestal sink. Double glazed uPVC window facing the rear. Radiator, tiled flooring, part tiled walls. Low level WC, panelled bath, pedestal sink. Manual up and over door. Internal access door into the study. Power sockets and lighting.